The use of flat irons, blow dryers, coloring seem to go hand and hand with split ends. 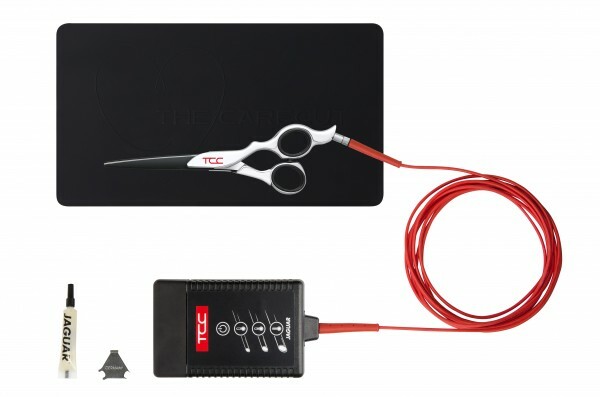 Jaguar TC ThermoCut System,- CareCut , has developed a thermo scissor that claims while cutting, the hair ends are resealed and the natural moisture is maintained. Supposedly this promotes strength and durability allowing more robust hair growth. While this will not cure all for splits ends, it certainly helps keep your hair looking fresh for weeks between cuts. Hairstylist feedback using the CareCut scissors so far have been favorable. They've seen results where the CareCut scissors works best on fine, frizzy hair. Looking for a salon that uses CareCut scissors? Click here.